SSD India Review 2019: Is SSD India a Good Hosting? From offering solutions to individuals to providing excellent hosting to small and medium-sized businesses, SSD India sets the pace for other Indian web hosting companies to follow. Their pocket-friendly hosting plans come with a 30-day money back guarantee. For a web hosting company that did not exist before 2011, SSD India’s growth has been nothing short of spectacular. Today, the company is one of the fastest growing web hosting brands in India. Their unwavering commitment to offer their customers some of the best hosting solutions in India is evident in the raving reviews of many of their customers. 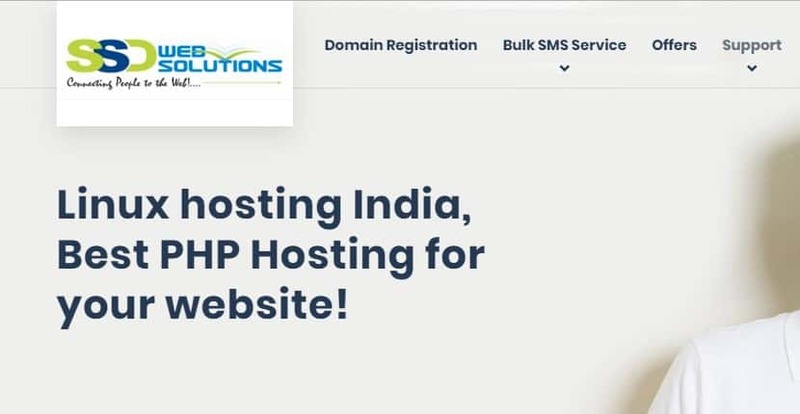 They now host over 1,700 websites and have served over 2,000 satisfied clients with their web hosting, domain registration, and bulk SMS packages. Their pocket-friendly hosting plans include website content mirroring to secure data as well as daily offsite R1Soft backups. The company is headquartered in Maharashtra, India, but has a customer base that extends beyond Indian borders. Currently, their website is only available in English. The StartUp Linux hosting plan limits you to a single website, so if you want to host two or more, go for their Business or Professional plan instead. Each shared hosting account comes with cPanel for easy management — or Plesk, if you’re on their Windows hosting plan. SSD India combines the excellence of service with reasonable prices, which explains why their web hosting packages are so appealing to their target market. They don’t offer any free versions of their website hosting packages. All the same, they have a 30-day full money back guarantee for anyone who feels that their hosting packages aren’t delivering what was promised. Coupled with their excellent security features and noteworthy reliability, it’s no surprise that they continue to dominate the web hosting space in Maharashtra and other parts of India. One area that the company could work on is to streamline the process of upgrading or downgrading a subscription. As it is, the process is not as straightforward as it should be. SSD India’s technical support team purports to be available 24/7 via phone to address any emergency hosting issues. That said, our calls to their support team went unanswered quite a few times. However, their support staff was extremely helpful when they finally answered our calls. SSD India prefers utilizing a ticketing system and over-the-phone support instead of a live chat on their website. For users who prefer chatting to a phone call or conversations over email, the absence of a live chat can be disconcerting. However, given that their ticketing system, email, and all other communication channels work quite seamlessly, the fact that they have no live chat should not discourage you from using the services of an otherwise excellent hosting vendor. SSD India is committed to providing individuals and businesses in Maharashtra and the rest of India with the most efficient Windows and Linux hosting. Whether you run a small website or a more complex enterprise, SSD has an affordable web hosting plan that can suit your needs. Wondering how SSD India stacks up against other Web Hosting companies? Enter any other Web Hosting company and we will give you a side-by-side comparison.